You've added Chicago Chinatown, Chicago Riverwalk, Navy Pier, and other attractions to your itinerary. There's lots more to do: admire nature's wide array of creatures at Shedd Aquarium, appreciate the history behind Cloud Gate, and admire the local landmark of Buckingham Fountain. 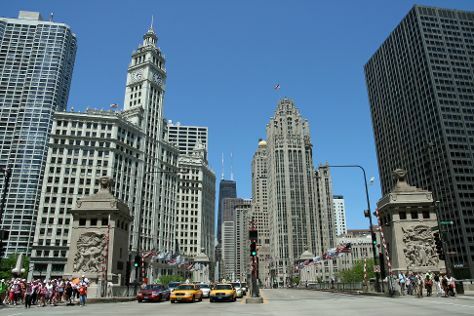 To find maps, where to stay, ratings, and tourist information, use the Chicago road trip tool . Expect a daytime high around 71°F in May, and nighttime lows around 52°F. Finish your sightseeing early on the 25th (Sat) to allow enough time to travel back home.